Before we see how the intellect rescues mind, lets get to know what the mind really is. 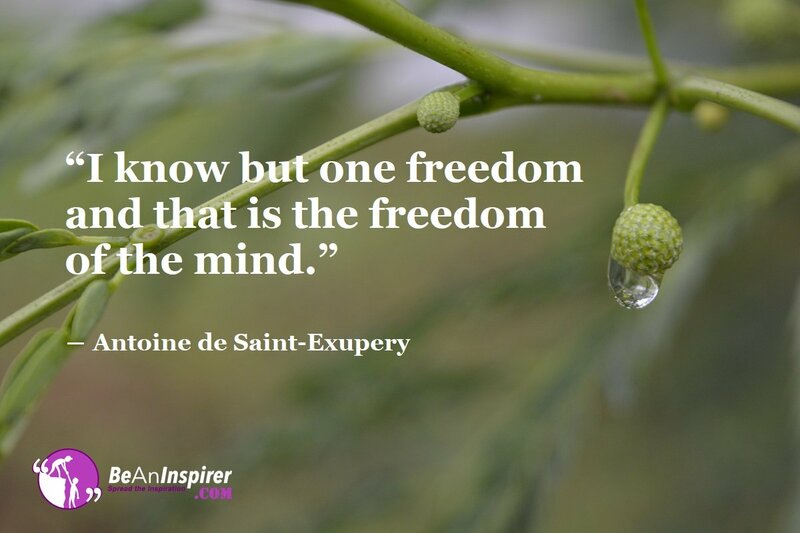 The mind is capable to gain lasting freedom or being bound. In a human being, the mind is a seat of likes and dislikes, feelings and emotions, passions and desires. All these expresses through one’s thoughts. Limiting behaviours based on one’s personality. If the mind is left to be on its own, it would only act according to its nature. This means that the mind is bound to act in a certain way only, and is not truly free. Thankfully we humans have been gifted the faculty of the intellect. The intellect is truly capable of governing the mind. It is instrumental in releasing the mental boundaries. As well as it helps the mind to experience complete freedom. When we are born into this world, we have no mind that is we have no preferences. We have no interest, we have no likes or dislikes. Neither do we have any feelings or attachments. In time, the mind starts developing. Based on its conditioning and upbringing, it starts developing a personality. The mind slowly starts picking up liking certain things and disliking certain things. It indiscriminately interacts with the world through these preferences. What is it that Binds the Mind? Let’s see an example of a child. A child may develop a liking for eating chocolates. The child does not know the difference between the right and wrong yet. He just expresses it’s liking based on his impulses. But what would happen if a parent encourages these impulses? What would happen if a parent regularly gives their child chocolates? The child is allowed to eat chocolates anytime it demands. This liking then could affect the child’s health. The child could be turning obese or developing an unhealthy oral health. So, we see that this liking in the child actually proved to bind the child making him dependent on it’s impulses. Plus he also faces the detrimental consequences to his health. How can the Mind Gain Lasting Freedom? Now let’s take a look at a contrasting example. The child has a liking for chocolates. But the parents regulate the child’s chocolate intake. The child is allowed to eat a chocolate once a week. This regulation helps. The child can enjoy and at the same time be free from all unfavourable consequences. This could only happen because of the discernment that the parents bought. Parents, in this example, help govern and guard the child against its own liking. With this discipline, the child is free from ill-health yet gets to enjoy what he likes. You already know this. If you want to free your mind, know that you can. Simply access the power of your intellect. Your intellect is the reasoning, logical side of you. It has the capacity to distinguish between what’s right and what’s wrong. Allow your intellect to govern your child-like mind. You can then be assured that your mind will be released from all sense of limitations. It would then experience freedom in itself. You now understand that the intellect rescues the mind. Are you ready to step up and follow the guidance of your intellect? Share and play your part in inspiring others.